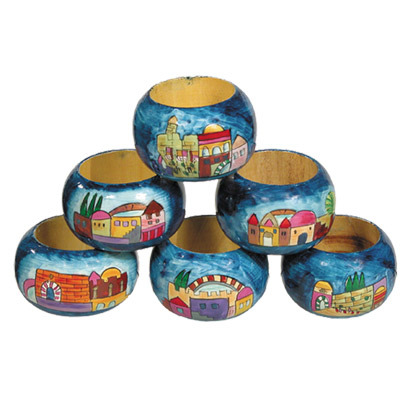 Jerusalem Napkin Rings CAT# RN-1. Set of six napkin rings. Each wooden article is hand – painted with a brush using acrylic colors and then lacquered. The items can be washed by hand in water since they are coated with several layers of lacquer. Size: 2.3" X 1.4".